Benjamin Franklin once said, “An investment in knowledge pays the best interest.” We couldn’t agree more! Education does make a huge difference and is never a waste. However, as a professional, you might have little to no time to spare. If you want to learn, you need to first silence the voice in your head that tells you “but there’s no time and no money”! Thankfully, the internet is flooded with brilliant and free content produced by people around the globe. It’s an exceptional concoction of their expertise and learnings. It will be a pity to not use them. This is why we thought we’ll begin with a series where we share some of our most favorite ecommerce marketing resources with you. By far this is the best blog for ecommerce players. From business ideas to customer satisfaction strategy and tutorials, their team of expert writers have tips and advice for any budding as well as established entrepreneurs in need of some guidance. Oh, and how can we forget the amazing customer acquisition/conversion/retention tips and ecommerce trends they publish regularly! Although TechCrunch is more popular for their exceptional coverage of the latest technology, trends, and gadgets It would be unfair to not list them as our favorites. 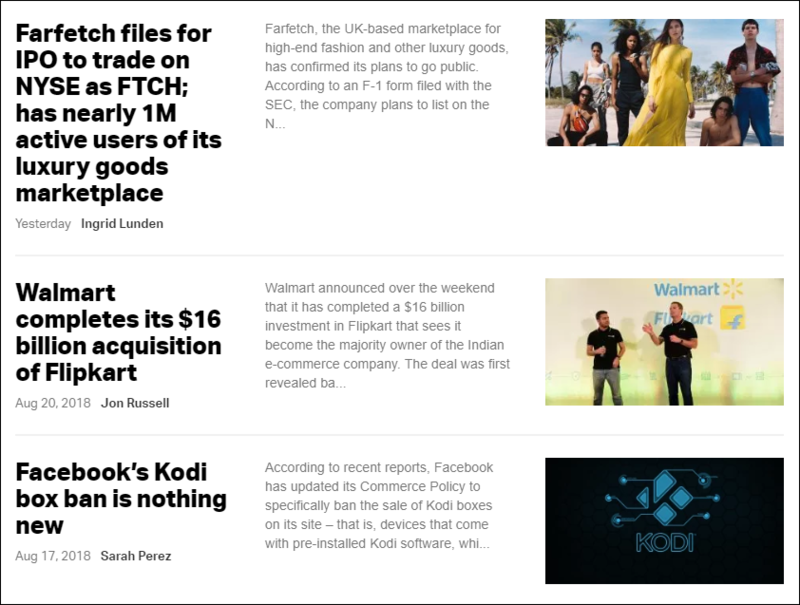 What most of you may not know is that they cover ecommerce news and stories quite extensively! Go subscribe. Ecommerce Platforms is a review site founded by Caitlyn Zorzini. He undertook this project after his own struggle in finding the best ecommerce platform for himself. Through his website, he helps people understand “the good, great, bad, and ugly of online store building software.” The articles are comprehensive yet fairly easy-to-understand. One of the resources we most loved is the comparison chart of 10 ecommerce websites across nine variables. Check it out here. Practical Ecommerce has been in business since 2005 and has stayed true to its mission to provide ‘down-to-earth’ articles and commentary to help ecommerce businesses grow. Their staff includes ecommerce practitioners, journalists, and consultants whose advice you don’t want to miss! From data analytics, marketing and advertising to conversion, finance, design, and development, they write about it all. Richard Lazazzera began ABLS to document his own experience. He writes about complicated aspects of building, launching and growing an ecommerce business. He also shares resources that can supercharge every entrepreneurial journey. 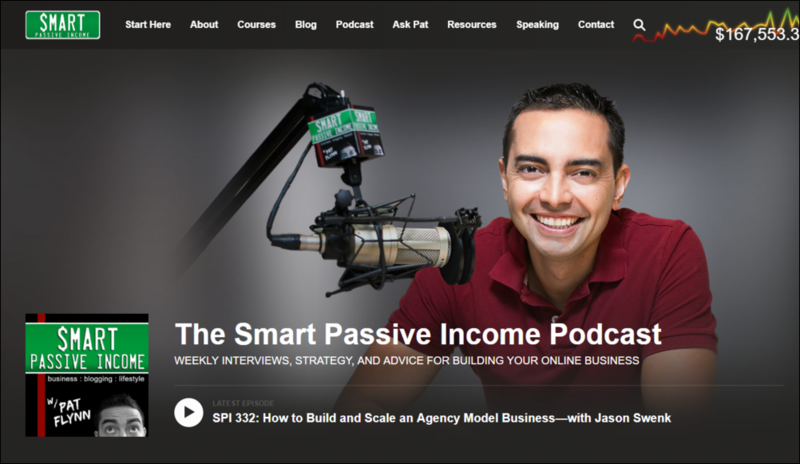 Today his website serves 100,000+ entrepreneurs and is considered to be one of the most comprehensive online resources and active communities of ecommerce entrepreneurs. The BigCommerce blog is a blend of data-backed ecommerce strategies, new insights and interesting and inspirational case studies. Whether you are venturing out from retail to e-tail, preparing to launch your website looking for inspiration, BigCommerce is the one-stop-shop for anyone who wants a slice of fresh perspective and practical advice. You up for it? In the past, this blog has been voted as one of the most influential and readworthy blogs by the Wall Street Journal. It has also been ranked #1 ecommerce blog worldwide by PostRank. 20,000 subscribers worldwide benefit from Get Elastic’s blogs on various topics like the impact of economic changes on ecommerce business, latest trends and technology, customer experience and many more. Go on and dig their archive, expert advice, and news on all things ecommerce! If you’re worried about your ecommerce conversion rates, Peep is your man! He breaks down every single point and gives supporting examples to show how you can bump up your conversion rates. Everything is backed by statistical data which is why we ask you to bookmark it right away! What we loved most is his plea to not copy Amazon. He says, “What is permitted to Jupiter is not permitted to an ox” and then sends readers off to a blog explaining why. Right in the beginning, Joshua announces that this guide is noob-friendly but we believe even established sellers can pick something new from this really simple (and comprehensive) guide. What should you do with deep orphaned pages? How to fix duplicate content issues? How to apply schema markup? This guide explain points like these in excruciating detail. In short, this guide has you covered on all fronts! This guide may be a whopping 15,000+ words but most marketers will vouch for its effectiveness. John covers every aspect (even the basics) of launching an ecommerce email marketing campaign. He lists out tools you’ll need to analyze campaigns and with examples shows how you can run different campaigns based on the ecommerce email funnel. Also, this guides includes case studies of brands like Amazon, Bonobos, Envelopes.com that “drive millions with email marketing.” You sure don’t want to miss out on the free lessons! PPC can be challenging and nerve-wracking but Brittany makes it easy for you. Beginning with defining the key terms, she goes on to explain everything with an excruciating detail. 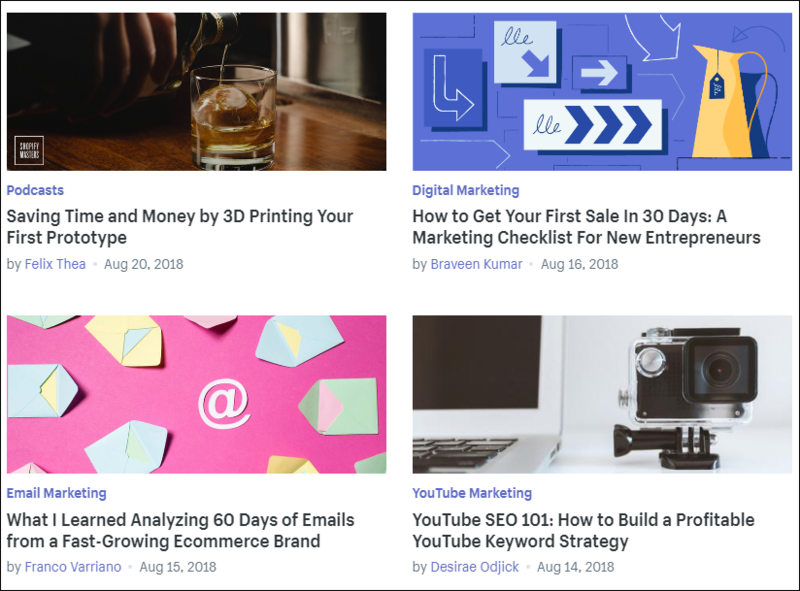 From how to write a perfect ad copy, using PPC ads for landing pages, useful tools within AdWord to bid management, there’s a lot of ground covered for you. Is it absolutely essential to have a social media presence or not? What or who is your biggest marketing asset? How do you come up with a winning social media strategy? Are there some social platforms better suited to your business? This guide answers all these questions and more. One thing’s for sure, it’ll definitely help you grow your brand and influence on social media. Referral marketing is an extremely powerful tool that ecommerce players can exploit. Unfortunately, it needs perfect execution which is brilliantly explained in this comprehensive guide. They discuss every single detail and share their learnings of having themselves run thousands of referral programs for retailers and merchants. Go, get it! 40% of online shoppers in the US rate high-quality product images as the most influential factor when considering a product to buy. Moreover, 50% of them like to see a minimum of 3-5 photos. Clearly, photos make a huge difference in ecommerce sales! This is why we have this ultimate learn-in-pictures guide on our list! We are sure the mind-blowing photography will get your creative juices flowing and lead you to ecommerce success! Since you’ve reached this far, we have to give you a bonus point! 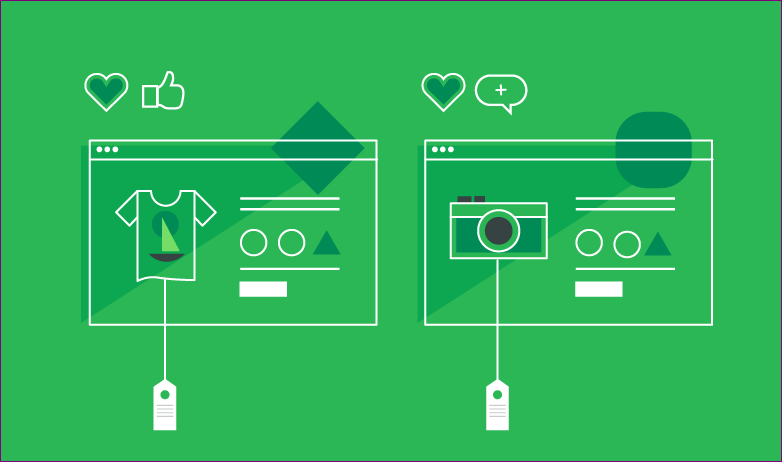 If you want to start a new digital storefront, or you already have one and want to up your game, this guide by Foundr is the one for you. They talk about how to set up an ecommerce business, from pinpointing an idea to finding a manufacturer to growing a customer base. Throughout, they don’t just talk theory—but give concrete tips on what to do to make it happen. 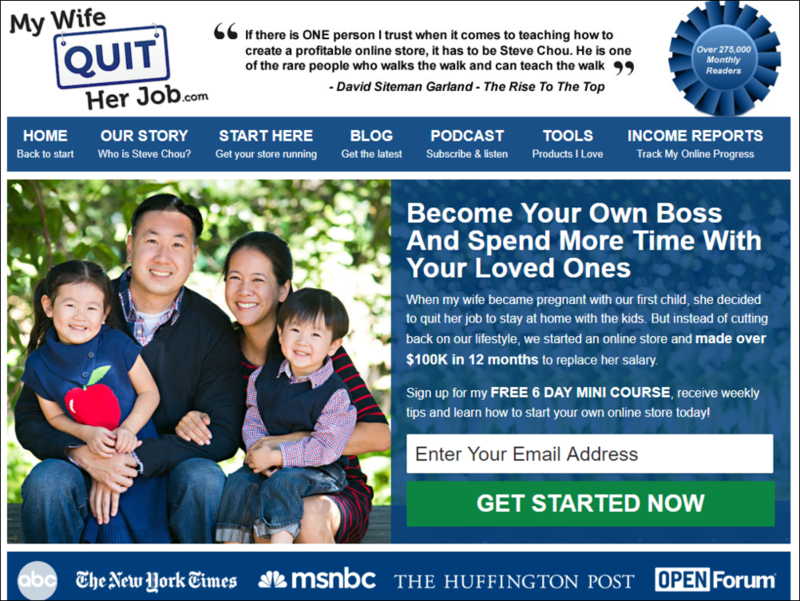 Steve Chou interviews small business entrepreneurs who are totally nailing it online and basking in retail success. This podcast has over 200 episodes and showcases how other bootstrapped business entrepreneurs hustled to make it big without risking their savings or relationships! He also provides insights from his own experience of launching Bumble Bee Linens. Felix gives out some interesting and actionable tips to drive traffic and sales. 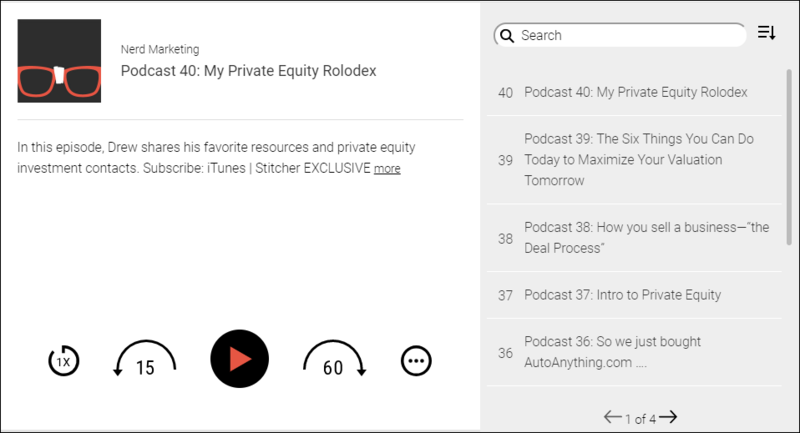 He also lets podcast listeners in on some of the winning product ideas and inside scoop on which apps and tools the successful ecommerce merchants use. That’s quite a bit, eh? 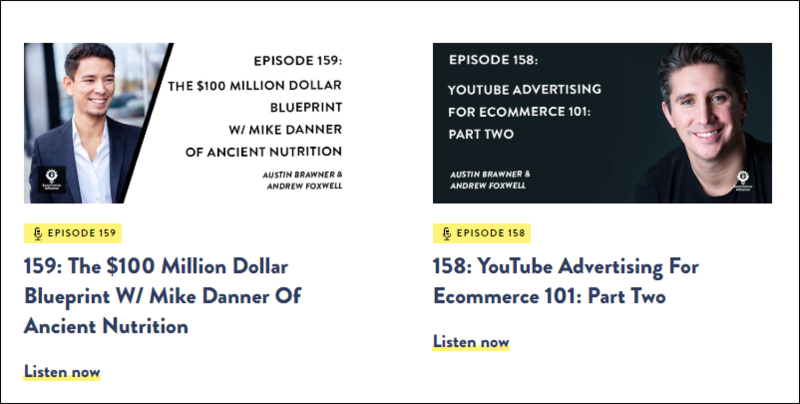 Although there aren’t as many podcasts (40 and counting) on Drew’s website, those he has hosted so far are enough to give you an idea that he knows ecommerce business inside out. You will be glad to have him ready you with all the nuts and bolts for your store. He trains you how to set out with ‘the million dollar mindset’, reveals the secret sauce of running a million dollar ecommerce business and also explains how his peers who, like him, have been able to successfully run a 7-figure business. Lots to learn, don’t you think? 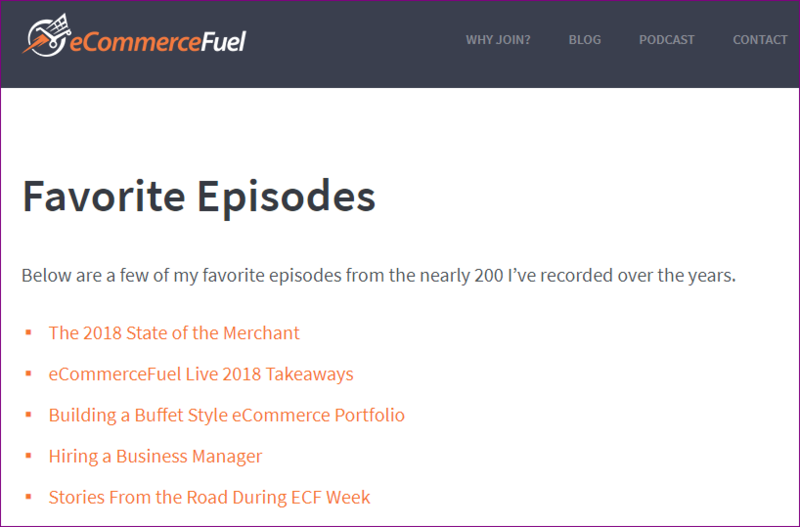 It’s a podcast exclusively for the six-to-seven figure plus ecommerce merchants who want to take their business to next level. Andrew interviews ecommerce experts and the who’s who of the ecommerce industry so that you learn only from the best! 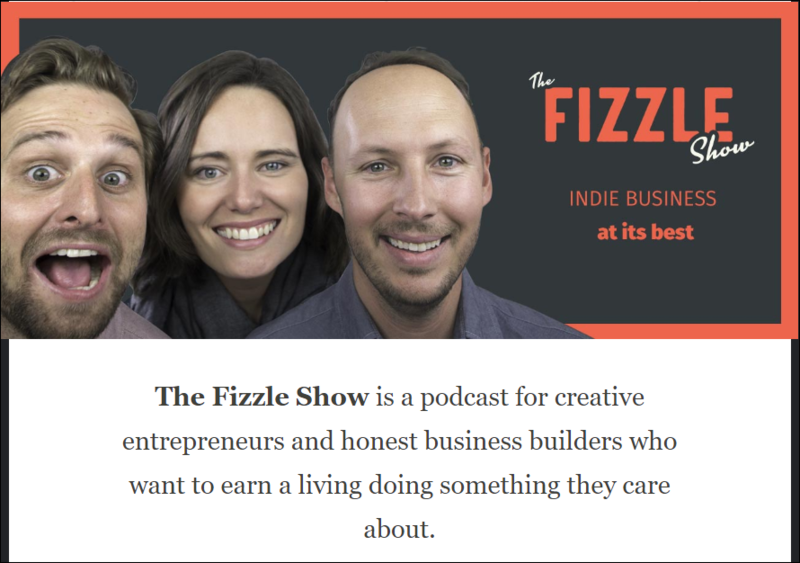 The Fizzle Show is a training ground for all the new ecommerce entrepreneurs “who want to earn a living doing something they care about”. The show is super fun, peppy, sprinkled with humor and obviously have what you are looking for: real practical business advice! Pat calls himself the “crash test dummy” because he teaches you from his own successes and failures. He conducts weekly interviews and talks not only about selling products online but also SEO, SMM, marketing automation all of which can help entrepreneurs stay ahead of their competitors. Every week, Austin shares advanced customer acquisition and retention strategies for online brands. His passion and knowledge comes through in the podcast. You are sure to walk away fuelled with ideas to grow a profitable business at a tremendous rate! Selma brings to you years of experience of working with luxury brands like Gucci, Barneys New York and Macy’s. She gives her subscribers a better understanding of the market, pricing strategies, and more irrespective of whether they come from a retail tech, brick-and-mortar background or ecommerce. Each one gets a slice of the same expertise she used to facilitate the expansion of global brands! Ritoban makes video tutorials, does product reviews, interviews entrepreneurs and talks elaborately about all things online marketing. Recently he also took up a Shopify Dropshipping Challenge where he built a student store from scratch and attempted to drive the first sale within 7 days! The twist? He did it LIVE for his subscribers! Travis publishes one video every Tuesday and covers a gamut of topics including ecommerce trends, profit plans, and strategies. Apparently, he started this channel to help others gain the same freedom in ½ the time as he did when he quit his full-time job in 2013 to start and grow his own ecommerce business. So far, as he says, he has made over $700,000 in revenue! Need we say you’re in the right hands? Like Johnny says in his channel description, he gives out “real tactics and strategies.” No fluff! He makes videos about ecommerce and starting businesses. Do check out his ‘Side Hustle’ series where each week he talks about side-hustlers who are running successful businesses and making so side money! You will find tonnes of Shopify tutorials and discussion and Facebook ads related videos on Casual Ecommerce, a channel run by Jake Alexander. It is indeed a helpful resource for anyone who is either running or plans to run a store on Shopify.